OFTEC director general Jeremy Hawksley has announced he will be retiring from the post this summer. 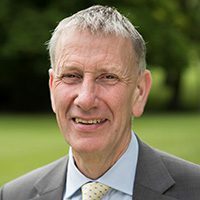 Since taking the helm in 2007, Jeremy has made a huge and valued contribution towards OFTEC’s progression and played an integral part in championing the industry at both national and international levels. The recruitment process to find a suitable successor for the role is currently underway.